Selling your home can be an exhausting process for anyone. This phase needs the right person to control every step in achieving the goal, which is selling your home. You may do this whole process by yourself, but it will be very problematic, so search for someone who knows his/her business and can help you with that. In the actual world, these experienced individuals are called realtors. 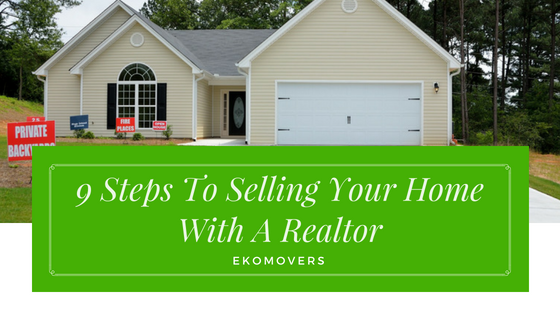 A realtor is a person you need to take your home and convert it into a product for sale. They will do the majority of the work, but you will also have to fulfill several tasks if you want to sell your home and move. Here’s a list of multiple steps to selling your home in the best way possible. 1. Decide when to sell your home. In this business, timing can change the selling price of your home. Factors such as the market status, seasonality and how quickly you want to sell all play a role in the final selling price. 2. Find the right realtor for you. There are easy ways to search for the right person that can sell your house. You can ask your friends and family members if they know someone or if they recently hired a realtor. Look for information on “For Sale” signs in your neighborhood and also ask your neighbors to see how that relationship is going. Interview at least two or three candidates and choose the one you like the most. When you have the one, make a contract and define all the needed details to go on with the process. After this, let your realtor do what they do best. 3. Fix and clean your home. You have to ask a simple question: would you buy your home in its present conditions? If not, you need to do something about it to give a good first impression. You do not want to spend too much money on additional improvements; however, you do want to repair maintenance issues. Compare the cost of all those improvements with the potential financial return. The best thing you can do is ask for professional guidance. Your home´s right asking price will attract many buyers and give you a good return. Do not set the price too low because you could lose thousands of dollars, but do not set the bar too high because this will surely scare the possible buyers. Consult with your realtor and compare similar homes in similar areas in the past few months to determine the value. In the end, the most important thing is to find the correct market value. 5. Stage your home to perfection. Staging is a step in which you need to consider hiring an interior/exterior designer or a professional stager. These individuals have the sufficient knowledge in redesigning your home layout and, creating an open and airy environment. The goal here is to make your home perfect for showing. Do a photo shoot at your home to stimulate new buyers. You should use a photographer specialized in this field. The realtor will create a schedule for showing your home while giving a tour through your property. Great photos are still the best way to sell your home. Also, the realtor will use newspapers, magazines, and websites to showcase your property. Be prepared for some stress. Legally, your realtor will have to show you every single offer your home gets. With these offers you will have to make three decisions: accept it, reject it or make a proposal. Then the negotiation begins! Getting a contract is something incredible if this is your first home sale. When you reach this step, you were successful enough to make a selling contract. Consult your realtor and immediately start to complete any tasks of the agreement that require something from you. At the end of this process, you will receive a cheque with what you are getting from the sell. Some agreements can give you some time after the sale to move your stuff out of the property. Some others need the property free at closing day. Either way, you will want to move out many big and bulky furniture in the most careful way possible. 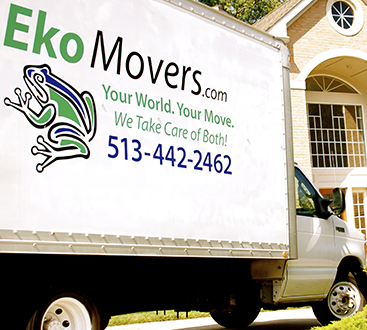 What better way to do so than contracting a moving company like EkoMovers. 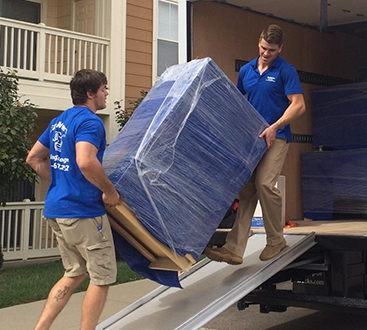 Known for being a very professional, licensed and an insured moving company, EkoMovers gives you moving solutions that revolve around your deadlines and your budget. There can be other steps to selling your home with a realtor to complete, but these are the major ones. Take your time and think well your moves. Selling your home is not an easy task, but with proper help, it can be done without stress and with the best possible results.